Sculptured lines define this ten piece Vintage Rust series. The Double French Scavo Glass adds an historic touch to this unique collection. The double arms enhance the authentic appearance of this well appointed series, Ardmore is generously scaled to be used with both residential and commercial applications. 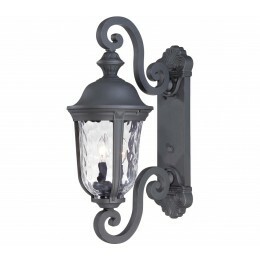 The Minka Lavery 8991-66 Ardmore collection Outdoor Wall Lighting in Black uses Incandescent light output and brings Rustic style. This item is 24.5"H x 9.5"W x 15"D. The total wattage is 120 and the voltage is 120 volts. The Minka Lavery 8991-66 requires 2 bulbs (not included). 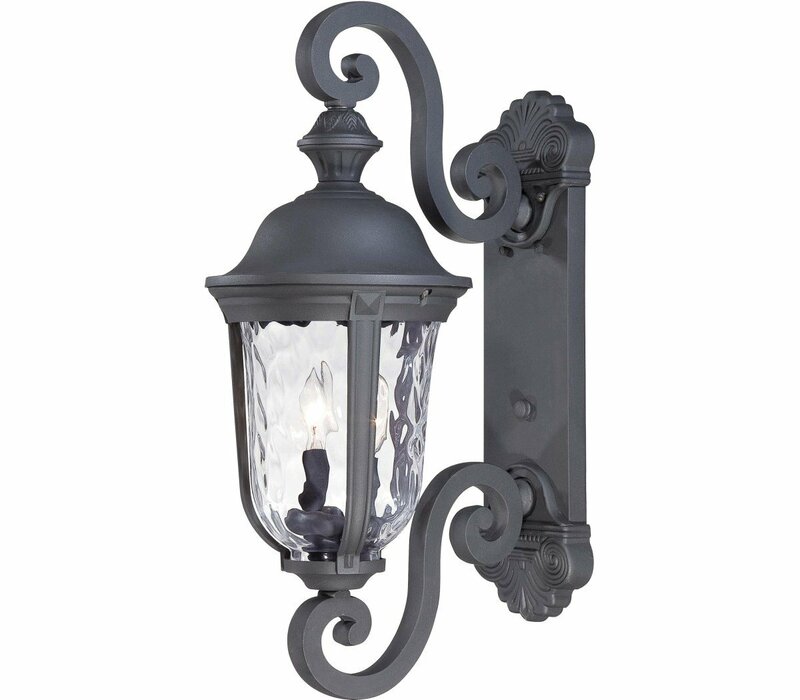 Additional Information: Shade-Mouth Blown Clear Hammered Glass.